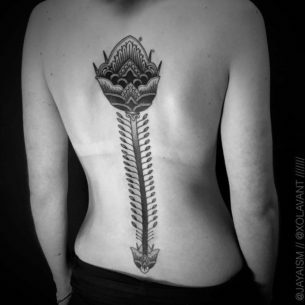 Spine tattoos are popular for both – men and women. 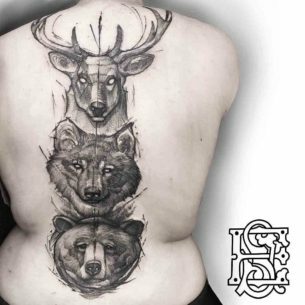 However, the placement, the same as the designs, vary a lot for different sexes. 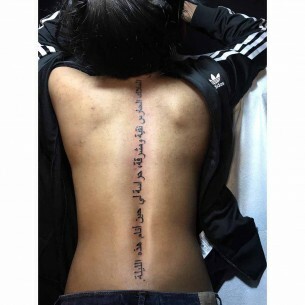 Women, as a rule, make tattoos on that spine using different tender gorgeous drawings as the designs. 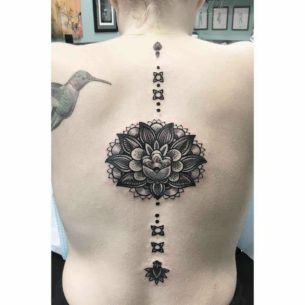 This can be a lettering going down the spine covering all its length or some sort of the stretched oblong ornament containing hearts. 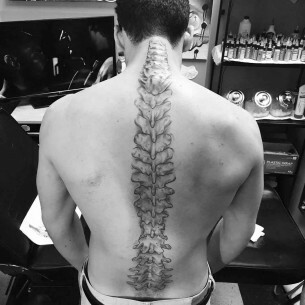 Birds flying from the bottom to upper part of the spine look very beautiful too. 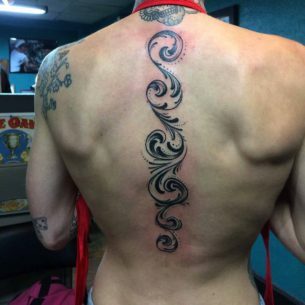 Spine tattoos for men are commonly placed on the upper part of the back. 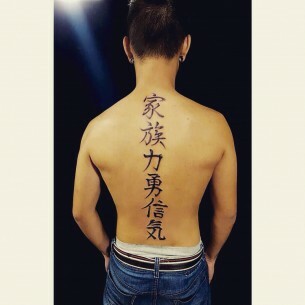 The same as women prefer, it can be a lettering tattoo. 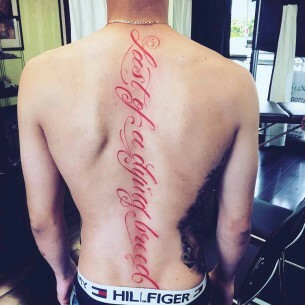 For example, a motto a tattoo owner lives by. 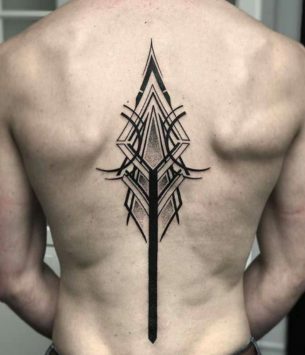 However, men mainly prefer full back tattoos with a spine including. Gigantic eastern dragons, different drawings combinations depending on the fantasy and the skill of a tattooist. 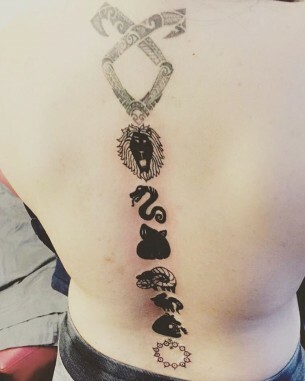 It is also very convenient to have a spine tattoo. There are no problems at work with it, it does not break the rule of an office dress code as it is hidden under clothes. 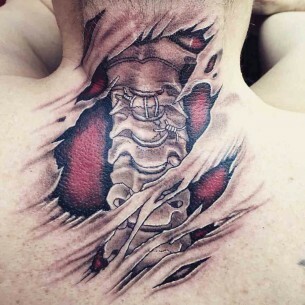 On the other hand, it would be harder to show off with your new tattoo. 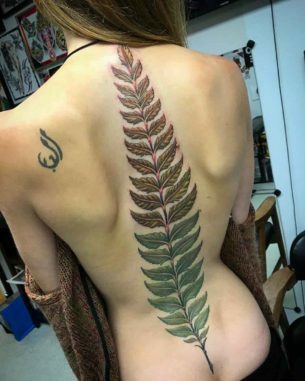 One would have to wait until summer to wear clothes with an open back. 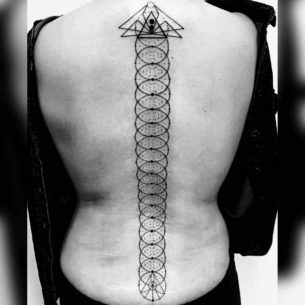 A spine – is rather a sensitive area. The skin here is thin and there are a lot of nerves here too. 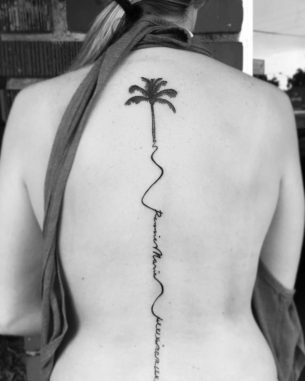 There are different opinions whether it is painful or not to make a spine tattoo. Some say that it is a complete hell, others say that pain is possible to stand, others say that they feel nothing. All depends on a personal pain threshold. 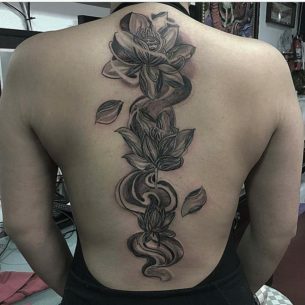 Anyway, it is always possible to use any kind of painkillers to seize the pain, which should be free at normal tattoo studios, that’s why there is no need to worry and go for it, as the spine is an ideal area to create unique creative tattoo artwork. 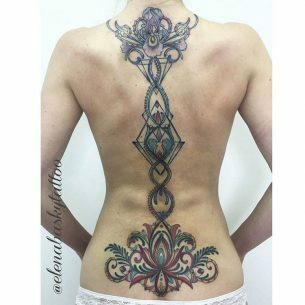 Spine tattoos is a cool and special placement making them stand out upon all other back tattoos. 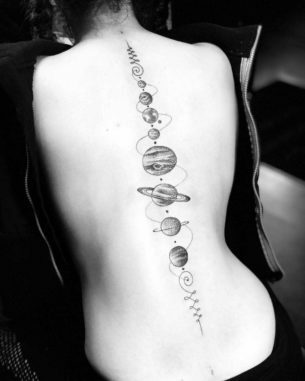 The designs placed here are oblong and look kind of weird if placed somewhere else. 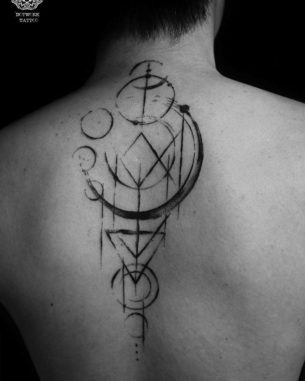 These are designs meant to have a meaning and to be exclusive and beautiful. Check them out and get sure yourself.